From the Avengers Infinity War collection by Beast Kingdom. Marvel Infinity War Thanos D-Select Series DS-014 Statue - Previews Exclusive. From the Avengers Infinity War collection by Beast Kingdom. Marvel Infinity War Thanos D-Select Series DS-014 Statue - Previews Exclusive. 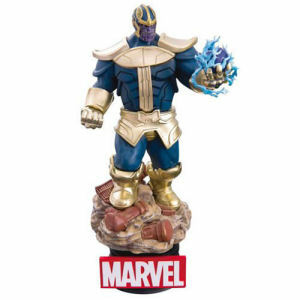 Thanos with energy crackling form his hand atop a Marvel Branded Base.